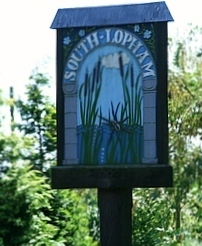 There will be a quiz organised by the Lophams’ Society to raise money for the Jubilee Celebrations held at the Lophams’ Village Hall on Saturday 17 March 2012 at 7pm. Entry £6 per person including food. There will be a fully licensed bar and a raffle, with prizes for the winning team. Make up a team of 6 or just turn up on the night to form a scratch team with your friends and neighbours. For more info or to book your team a place call 01379 640355.